Addington, J., Liu, L., Buchy, L., Cadenhead, K., Cannon, T., Cornblatt, B., Perkins, D., Seidman, L., Tsuang, M., Walker, E., Woods, S., Bearden, C., Mathalon, D., Mcglashan, T. (2015). 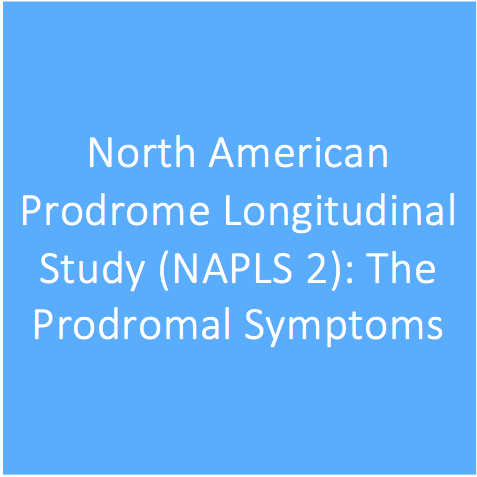 North American Prodrome Longitudinal Study (NAPLS 2). 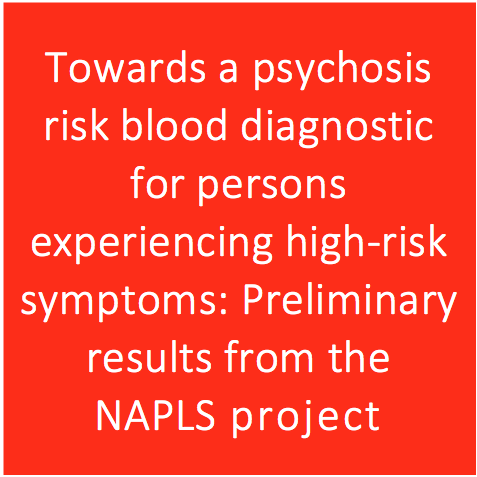 The Journal of Nervous and Mental Disease, 328-335. Miklowitz, D., O’Brien, M., Schlosser, D., Addington, J., Candan, K., Marshall, C., . . . Cannon, T. (2014). 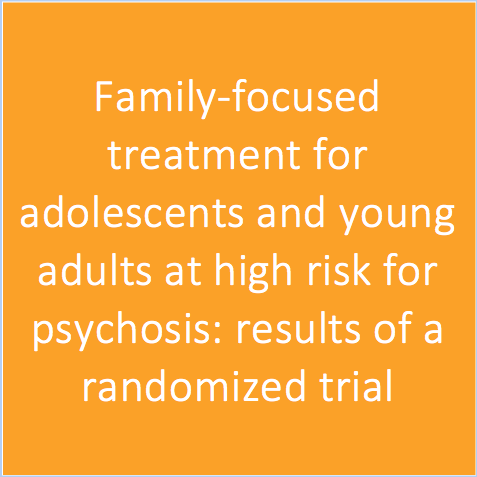 Family-Focused Treatment for Adolescents and Young Adults at High Risk for Psychosis: Results of a Randomized Trial. 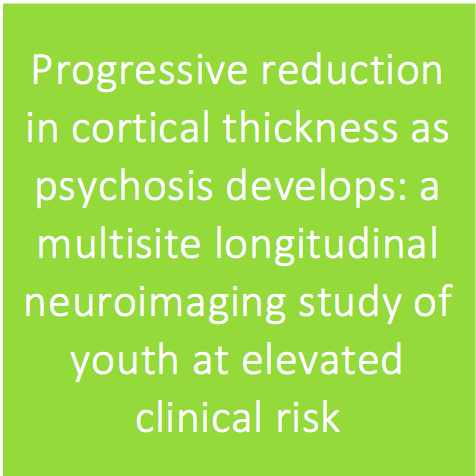 Journal of the American Academy of Child & Adolescent Psychiatry, 848-858.